our very first tutorial right here…YAY! 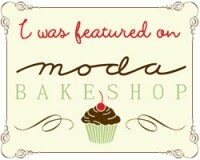 mom and i came up with brilliant (i say brilliant…but then again i’m biased just a smidgen) idea. 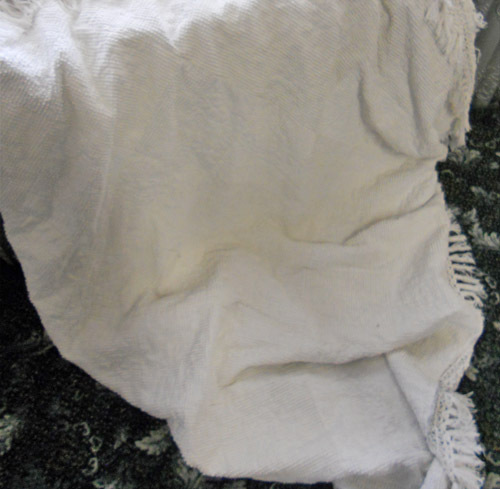 we have old bedspreads that over the years have developed holes…and we just cannot toss them; i mean it is perfectly good, lovely nubby fabric and the fringe border is just so sweet and shabby. 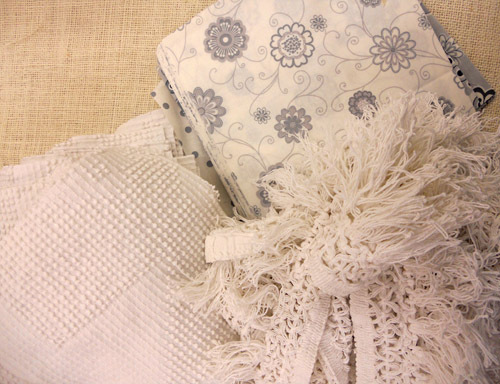 so we decided to make a shabby raggy throw using some paparazzi greys and an old bedspread and the fringe from the old bedspread. 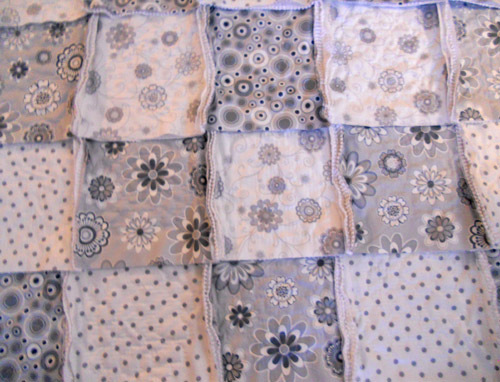 Cut from each grey 16–9 inch squares…total of 64–9 inch squares. 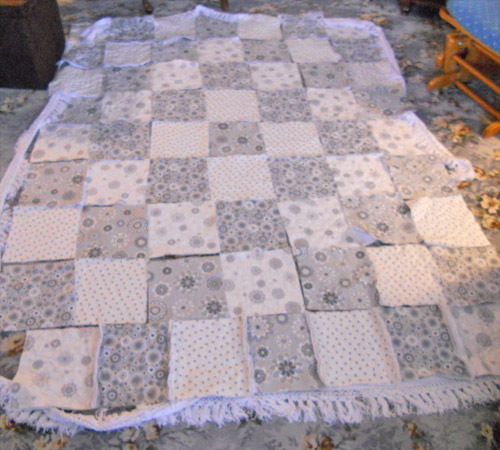 Cut from bedspread 64–9 inch squares. Layout blocks 7 x 9 (or 8 x 8). Piece blocks across laying the nubby sides together and using a 1/2 inch seam allowance. Be sure that the seam is on the side with the prints. Repeat with each row then piece together rows. 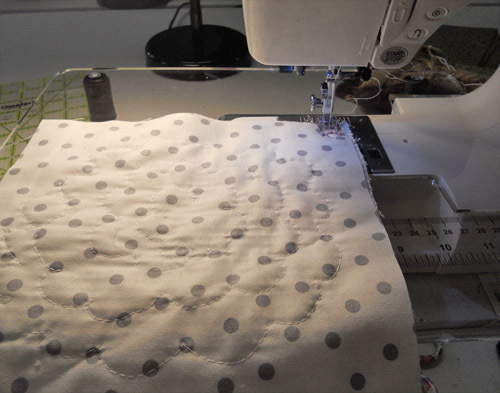 Snip seams every 1/2 inch-1 inch…be sure to not snip seam. 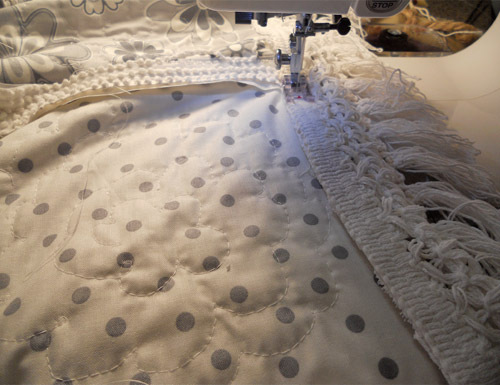 Stitch bedspread fringe to outside. Wash and dry. Trim any long threads. Toss over couch or chair then proceed to snuggle with. this is the bedspread back. This is the front…all snuggly and wonderful! 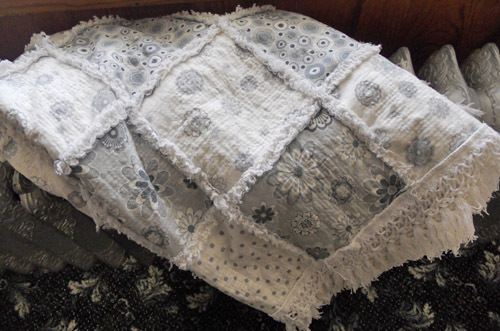 We have these available in our etsy shoppe…Vintage Cottage Throw. 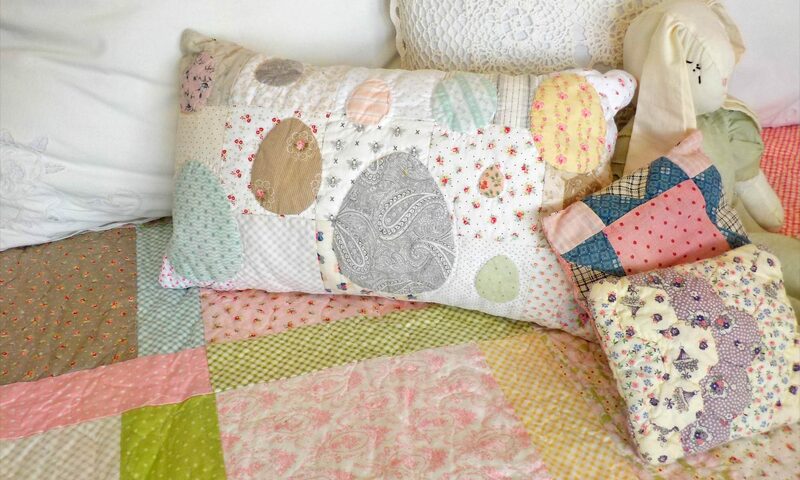 Download Vintage Cottage Thow PDF. Hi- this a great tutorial and project. Is the back cut into squares, too, with the front patches? 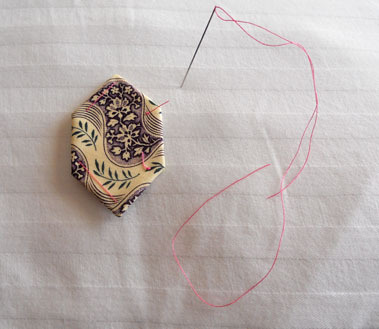 Or, is the top pieced together with no back and sewn to a solid piece? Thanks for your help! 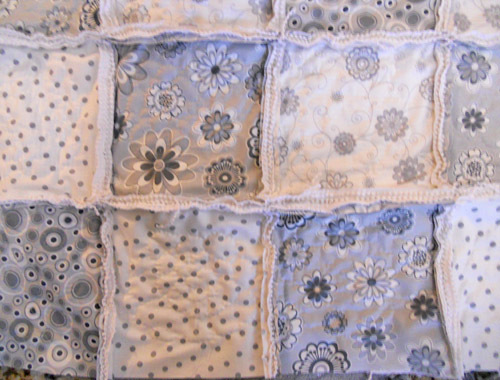 Previous PostPrevious sylvia week 8…24 blocks done now!